The Plotkin Inquiry: IP and Tech Law Review: Patent Trolls: Cultivating A Growing Distaste Among Attorneys General In The U.S.
Patent Trolls: Cultivating A Growing Distaste Among Attorneys General In The U.S. The term “patent troll” is nothing new. 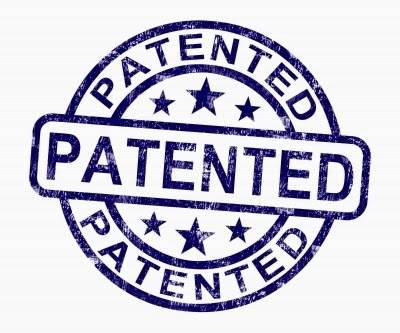 Patent trolls (also referred to as “patent assertion entities” (PAEs) or “non-practicing entities” (NPEs)) are patent holders that generate revenue by sending demand letters to claimed infringers in an attempt to produce licensing opportunities. In order to be considered a patent troll the entity must not actually practice the patent themselves, instead relying on the threat of litigation as a revenue stream. In New York, Attorney General Eric Shneiderman investigated MPHJ Technology, an alleged patent troll. The investigation concluded with a settlement under which MPHJ agreed do desist from hundreds of threatened law suits against businesses in that state. Known as the “scanner troll”, MPJH claimed a patent on a process for scanning and emailing electronic documents. It sent demand letters asking businesses for $1,000 per employee to avoid having suit filed against them for patent infringement. The Attorney General of Vermont, Bill Sorrell has also taken up against MPHJ. The Oregon State Senate introduced a bill that would amend the State’s Unlawful Trade Practice Act to allow individuals to sue supposed patent trolls for sending a demand letter without identifying the patents at issue or how it was infringed. These are but a few examples of actions taken by legislators and attorneys general in the U.S. against alleged patent trolls. The Wisconsin law is particularly ferocious, notwithstanding the fact that “misleading” and “deceptive” mean exactly the same thing. In addition to individual state efforts, the National Association of Attorneys General (NAAG) sent a letter to the U.S. Senate in February 2014 signed by 42 state attorneys general calling for a bi-partisan legislative amendment to the patent law aimed at addressing patent trolls. The only States that did not participate were California, Delaware, Georgia, Montana, North Dakota, Ohio, Oklahoma, South Dakota, and West Virginia. In a 2006 case styled Ebay Inc. v. MercExchange, L.L.C., the U.S. Supreme Court had to decide whether injunctions should issue as a matter of course in patent infringement law suits. The Court found this not to be the case. Overturning the Court of Appeals for the Federal Circuit’s (CAFC) ruling that “the general rule that courts will issue permanent injunctions against patent infringement absent exceptional circumstances”, the Supreme Court held 8-0 (Justice Alito did not participate) that because the injunction is an equitable remedy, the legal test for obtaining one and the equitable factors apply. This is relevant because the Plaintiff at trial, MercExchange, was an alleged patent troll. The District Court for the Fourth Circuit ruled that MercExchange was not entitled to an injunction because it does not practice the patent. The CAFC overturned. Without endorsing the District Court’s reasons, the Supreme Court disabused us of the notion that injunctions should issue (almost) as a matter of course- a point I incidentally found myself squarely on the other side of when I argued for exactly that interpretation in a Canadian IP moot completion in 2012. One of the concurrences in that case penned by Justice Kennedy (joined by Souter, Breyer and Stevens) pointed out that granting injunctions in cases where a non-practicing entity sues a company engaging in commerce may run counter to the public interest. They noted that often money damages are more fitting. If that is the case, the injunction is inappropriate as it should only be granted when there is no sufficient remedy at law. It will be interesting to see if the U.S. Congress acts on the recommendations of the NAAG. There has been no sign of movement on this matter and no indication that there will be any in the near future. As noted above, however, individual states are not waiting for the Federal government to join the party.